The Best Hunting, Fishing and Camping Cooler & Coffee Mug from Engel- Discount Code! The Engel premium soft-sided cooler backpack is great for beach days, camping, hunting and the boat. Premium coolers have been all the rage in the hunting, fishing and outdoor industry the past 5 years. Much to our dismay, the pricing on these premium coolers have not gone down, but there are some new comers to the hunting and fishing cooler category and Engel is one to take a look at. The Engel soft-sided backpack cooler is one of the heaviest duty, longest lasting premium coolers available. Check it out. 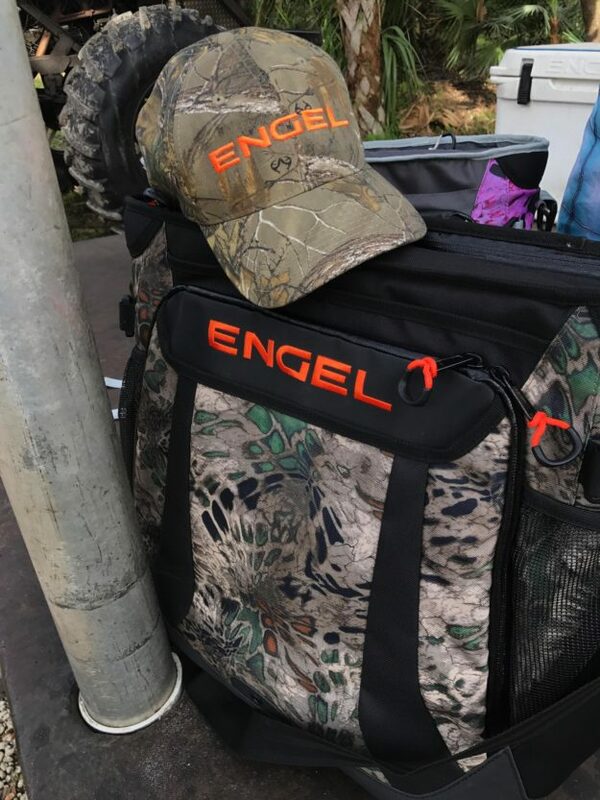 Unlike other coolers that you can find in your local hunting and fishing store, the Engel Cooler features a backpack strap to make carrying your items easy. Whether you’re hauling a case of beer to the beach, or carrying meat from your latest hunt, it’s easier strapped to your back. The cooler also is as durable as they come. The outer fabric has been upgraded to 600-denier rip-stop polyester (from 500D) for increased durability and has a DWR (Durable Water Repellent) coating and UV protection. Soft sided coolers have some distinct advantages over hard sided ones when it comes to outdoor activities. For one, they travel easy and are lighter which is great for planes. They also keep ice for a long time over a traditional cheaper cooler. The Engel can keep ice for up to three days under typical conditions and many times much longer than that. The Engel backpack cooler has a 23 quart capacity. This leaves room for 24 cans of cold beer, or plenty of sandwiches and snacks for a boat ride. The heavy duty two way zipper on the front makes it easy to get in and out and you can even add cooler packs to keep your drinks colder. This also gets you extra space for more food or drinks by eliminating ice. A removable bag is on the inside of the cooler that has Microban anti-microbial protection. This makes clean up easy and prevents mold from getting in your bag. The bottom of the bag is rip resistant too and has non skid feet, awesome for a boat. The best part is the cool camo pattern on the bag that fits right in with your lifestyle no matter where you are. In addition to having awesome coolers, Engel also produces some amazing coffee and drink thermoses. Like other companies in the cooler and drinkware industry, these are top-notch and keep your drinks ice cold or super hot for a long, long time. Having a quality thermos for hunting and fishing is essential and the Engel mug doesn’t spill and keeps your drink hot. The stainless steel performance mugs hold up to 30 ounces of your favorite drink and they feature a Ketch-It Lid that has a super tight seal so that your drink wont spill no matter what you’re doing. 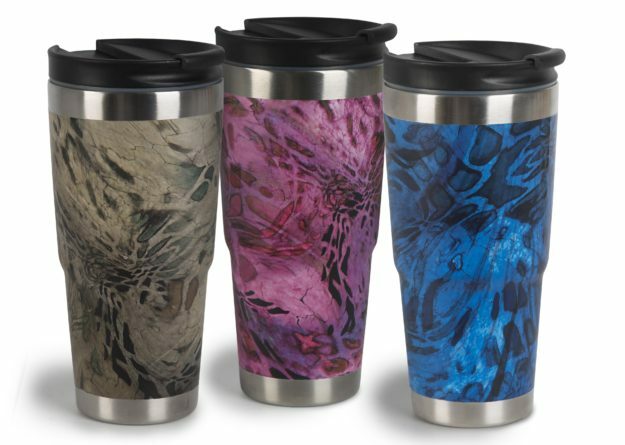 If you’re interested in purchasing a cooler or performance mug from Engel, check out their website here. The backpack coolers start at $129.99 but you can receive a 10% discount by entering in: MMOSS10OFF at the checkout! Be sure to visit the Engel Coolers website for awesome hunting, fishing and outdoor cooler gear and supplies. Turkey Tip Of The Day!